NON CI ASSUMIAMO ALCUNA RESPONSABILITA' IN CASO DI USO IMPROPRIO O DIVERSO DEGLI OGGETTI VENDUTI. GLI OGGETTI ACQUISTATI DEVO ESSERE INSTALLATI SOLO DA PERSONALE QUALIFICATO. SE TALI DATI RISULTERANNO ESSERE ERRATI E/O INCOMPLETI NON PROCEDEREMO ALLA FATTURAZIONE. RELE' RELAY 6U0955532D. SKODA FELICIA (1997) 1.3 BENZINA 50KW 5P. Anno: 1997. - per i Paesi Bassi: Isole Bes, Aruba, Curacao, Sint Maarten. - per la Francia: Guadalupa, Guyana Francese, Martinica, Riunione, Saint Barthélemy, Saint Martin. RELE' RELAY 6U0962258B. SKODA FELICIA (1997) 1.3 BENZINA 50KW 5P. Anno: 1997. - per i Paesi Bassi: Isole Bes, Aruba, Curacao, Sint Maarten. - per la Francia: Guadalupa, Guyana Francese, Martinica, Riunione, Saint Barthélemy, Saint Martin. 2012 MK2 Skoda Octavia 1Z FL FUSE BOX OE Factor Number - 1K2941824. Please make sure part is correct before purchasing. We try to describe our parts as honestly as we can, however please also see our images in case we have missed anything. Any questions please ask. International buyers please contact us for price and availability of postage to your location. Removed from below vehicle -. RELE' RELAY. SKODA FELICIA (1997) 1.3 BENZINA 50KW 5P. Anno: 1997. - per i Paesi Bassi: Isole Bes, Aruba, Curacao, Sint Maarten. - per la Francia: Guadalupa, Guyana Francese, Martinica, Riunione, Saint Barthélemy, Saint Martin. 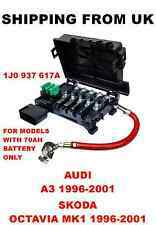 SKODA FABIA VRS 1.9TDI PD 2006 5DR UNDER BONNET MEGA FUSE BLOCK. RELE' RELAY 441040491046. SKODA FELICIA (1997) 1.3 BENZINA 50KW 5P. Anno: 1997. - per i Paesi Bassi: Isole Bes, Aruba, Curacao, Sint Maarten. - per la Francia: Guadalupa, Guyana Francese, Martinica, Riunione, Saint Barthélemy, Saint Martin. RELE' RELAY 441040251346. SKODA FELICIA (1997) 1.3 BENZINA 50KW 5P. Anno: 1997. - per i Paesi Bassi: Isole Bes, Aruba, Curacao, Sint Maarten. - per la Francia: Guadalupa, Guyana Francese, Martinica, Riunione, Saint Barthélemy, Saint Martin. RELE' RELAY 191937503. SKODA FELICIA (1997) 1.3 BENZINA 50KW 5P. Anno: 1997. - per i Paesi Bassi: Isole Bes, Aruba, Curacao, Sint Maarten. - per la Francia: Guadalupa, Guyana Francese, Martinica, Riunione, Saint Barthélemy, Saint Martin. (Taken from : 2011 SKODA OCTAVIA MK2 1.6 TDI CAY, SILVER, 5 SPEED GEARBOX, ESTATE ). YOU WILL FIND MORE INFORMATION ABOVE. VW Caddy III 2 K, Skoda Octavia, VW Golf Mk5, VW Touran. (L'elenco di uso è coerente con i dati dal produttore non possono essere sempre 100%). E 'imperativo. SKODA OCTAVIA A4 1U 1997-2011. SEAT LEON 1M 1997-2005. SEAT TOLEDO II 1997-2003. SEAT IBIZA II 6K 1999-2002. SEAT CORDOBA / VARIO 1999-2002. AUDI A8 8L 1997-2003. Part Number: 1J0937617A. 1J0937617A - 70 Ah. Skoda Octavia 1997 - 2000. 1J0937617 - 44 Ah. 1J0937617C - 60 Ah. 1J0937617B - 80 Ah. VW Bora 1999 - 2001. VW Caddy 1996 - 2003. Skoda Fabia. Your warranty only covers the cost of the part itself and not any labour costs incurred in fitting / removing the part.more. Driver Position Donor Vehicle. Donor Vehicle PCS Part ID. PCS Part ID. 2018 Skoda Fabia MK3 1.0 Unità modulo sensore di parcheggio ausiliario. Skoda Fabia. Model Fabia. Make Skoda. Codice di colore Tipo di carburante Pannelli di corpo. A causa della natura dell'ambiente sono rimossi. REMOVED FROM A 55 PLATE 1.9 TDI MK5 GOLF. WHAT YOU SEE IS WHAT YOU GET. ONLY BUY IF YOU ARE HAPPY WITH WHAT YOU SEE. (Taken from: 2008 SKODA SUPERB 2.0 TDI CBB, SILVER 9157, GEARBOX KNY, BREAKING). YOU WILL FIND MORE INFORMATION ABOVE. All parts are used, fully tested and are in fully working order, unless stated in the title. 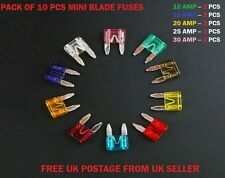 FOR SALE IS NEW GENUINE AUDI VOLKSWAGEN SKODA SEAT OVERLOAD PROTECTION BATTERY CUT OFF FUSE TO FIT - SKODA SUPERB (2008 - 2015). - AUDI A3/S3 (2004 - 2007). - AUDI A4/S4 (2008 - 2015). - AUDI A5/S5 (2008 - 2015). Model: Octavia MK2 Facelift. Make: Skoda. Transmission: Manual. This part is used previously fitted second-hand item. Halter Sicherungsdose BAtterieabdeckung. Räder & Reifen Motoröle Sonstiges. Skoda Original Teile Skoda Original Zubehör. VW Original Teile VW Original Zubehör. Audi Original Teile Audi Original Zubehör. OCTAVIA MK1 1996-2001. A3 1996-2001. This part fits to models with 70Ah battery only. 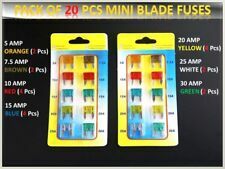 Fits to models with 70Ah battery only. if part wasn't fitted to car only. HERE I HAVE A 2018 SKODA FABIA MK3 BREAKING, YOU ARE BUYING THE FUSE BOX AND COVER MOUNT AS PICTURED. 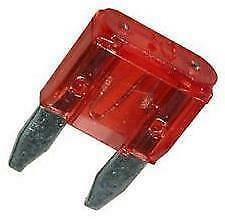 1K0937124K / 1K0937124P: central electrics for engine bay. Skoda Octavia 2004 —2008. Tested pre-removal and it’s fully functional. Removed from a 2005 VW EOS Cabriolet 2.0ltr TSI. Volkswagen EOS 2006 —2011. Scatola dei fusibili centrale elettrica. Skoda Octavia 2.0 RS. DE 250924625. 33609 Bielefeld. Ali Khalti. Si deve supporre che una parte di ricambio usate possa essere state ridipinte. Siete pregati di notare che rücklich è che un USD ricambi usati. WE INCLUDE ALL PART NUMBERS WITHIN OUR PICTURES WHEN POSSIBLE AS E-BAY'S COMPATIBILITY LIST IS JUST A GUIDE. 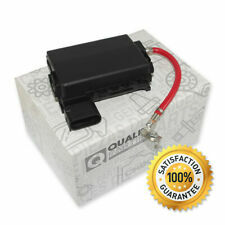 BATTERY 70AH 1J0 937 617 A. Notes : FOR MODELS WITH BATTERY 70AH. VW AUDI SEAT SKODA. IBIZA 1999-2002. “The spare parts experts of SKODA VOLKSWAGEN SEAT ". CADDY 1996-2003. 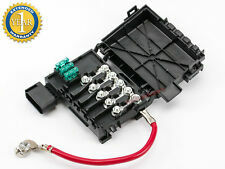 BATTERY FUSE BOX HOLDER for MODELS WITH. SKODA SUPERB (2008-2015). -SEAT IBIZA (2009-2015). -AUDI A3/S3 (2004-2007). -AUDI A4/S4 (2008-2015). -AUDI A5/S5 (2008-2015). -AUDI A6/S6 (2005-2015). -AUDI A8/S8 (2004-2015). -AUDI Q5 (2009-2015). PART NUMBER: 5Q0937132B. VW SEAT SKODA AUDI. FUSE BOX LID. GENUINE 2013 - 2019. Air Bag Complete Set. SEE PICTURES. Complete Engines. Complete Front end panels. 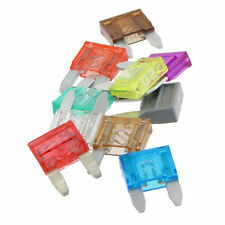 2010-2014 MK2 5J SKODA FABIA 1.2 PETROL 5 SPEED MANUAL CGPA 5 DOOR HATCHBACK BATTERY TOP FUSE BOX. IN GOOD USED CONDITION. All our products are security marked. With the parts being recovered from used vehicles it is inevitable that there are signs of usage and general wear and tear. SEAT León 2000-2006. SEAT Toledo 1999-2004. AUDI A3 S3 2001-2003. Adecuado para los siguientes coches Se acepta TARJETA DE CREDITO. Se acepta INGRESO BANCARIO. 1x botonera completa. Part Number: 6Q2941824B. Skoda Fabia 1.2 Petrol. part is taken out from SKODA FABIA Reg 03. for Scottish Highland, Northern Ireland. (Taken From: 2009 SKODA FABIA MK2 1.4TDI BNV, SATIN GREY 9154, 5 SPEED JCZ, 5DOOR, ESTATE). YOU WILL FIND MORE INFORMATION ABOVE. All parts are used, fully tested and are in fully working order, unless stated in the title. P/N 6C037615A. SKODA FABIA COLOUR EDITION 2017. UNDER DASHBOARD FUSE BOX. PAINT CODE - LF9E/9P1Z. 1.2L PETROL 5 SPEED MANUAL. The Blue Containers. PICTURE OF THE CAR IS FOR ILLUSTRATION ONLY. AJ SPARES is a large independent Vehicle Dismantlers. Nuova inserzioneSKODA Octavia 1.9 Diesel/INTERNO in Dash Scatola dei fusibili 2004-2013"
OCTAVIA 2004 -2013 Mk2 (1Z). 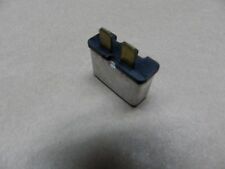 Item Specifics:2004-2013 - MK2 - 1.9 DIESEL - FUSE BOX - INTERIOR. Part:Fuse Box. This Fuse Box was removed from a2008 car and has been fully inspected. Item: Fuse Box. Model: Golf MK5 1.9 Diesel BLS. All our parts are security marked before being dispatched. 4F0915519, 4F0 915 519, 8P0 937 548, 4F0 915 457, 8J0 915 459. 2008-2015 SKODA SUPERB. 2012-2015 SKODA RAPID. BATTERY CUT OFF FUSE OVERLOAD PROTECTION TRIP UNIT. 2009-2015 SEAT. OEM Part Numbers NEED THIS URGENTLY!?. Part Number : 8D2941824. Skoda Octavia MK1 1.9TDI. Part is taken out from Skoda Octavia Reg 51. unless clearly described as spares/repairs. for Scottish Highland, Northern Ireland. 1J0937617A - 70 Ah. Manufacturer Part Number 1J0937617A. Reference OE/OEM Number OEM: 1J0937617A. 1J0937617 - 44 Ah. 1J0937617C - 60 Ah. 1J0937617B - 80 Ah. Skoda Octavia 1997-2000. Audi A3 1997-2000.